​is available to you here to Download for FREE. When you watch our videos on YOUTUBE we sprinkle in some star dust on our picks! ​in your pocket a few times a month. decide which offers the best bet for the money against the return on a box hit win. 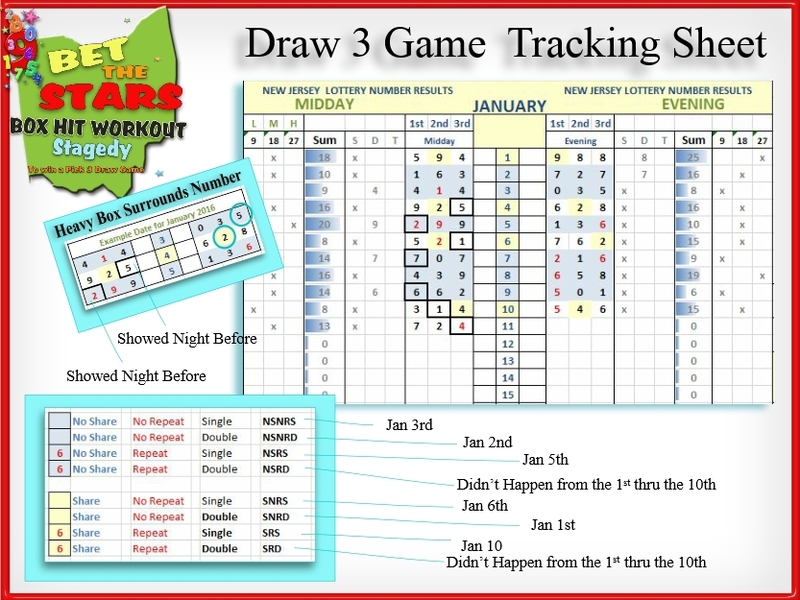 The Draw 3 Game Tracking sheet reflects . . .
x's mark off whether the number drawn was a unique single, a double or triple. If double or triple, the number is entered instead of an x.
an x marks off whether the draw was summed Low, Medium, or High. If a number drawn in the midday SHARED with a number drawn that evening the date is highlighted in YELLOW and the numbers SHARED are highlighted in YELLOW. If no numbers SHARED, a BLUE highlighted date is marked and the day is considered a NO SHARE day. A number in RED indicates that number repeated from the same draw game the day before. In order to bet on a NO SHARE day, I need to know the numbers drawn from the Midday game. ​Look at January 8th in the image to the right. that leaves 7 numbers---0 1 2 5 6 7 8--- that could show up to produce the NO SHARE Blue highlight. when you break the 35 combinations down into Low, Medium and High Sums you will bring down your cost to bet on a NO SHARE DAY scenario. For instance, see the two charts to the right, on Jan 8th the number drawn was 6 5 8 and that draw gave the day a Blue Line NO SHARE scenario. The sum of 6 5 8 ='s 19. 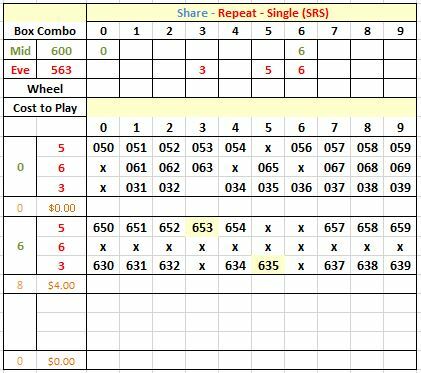 There are only 3 box combinations that sum HIGH when wheeling the numbers 0 1 2 5 6 7 8 - they are 568 - 578 and 678 for which a bet would of only cost you $1.50 to get the $41.50 prize money. (See the January 8th Workout Worksheet to the right). That's why we record the sums and check off whether they were high, medium and low ---because it servers to hint to us which of them are due. As the sums also maintain averages. You are always going to see more Medium sums because in the 220 box combinations of the 1000, there will always be more of the medium sums. Making this a sort of a " wait and watch" strategy. Now what if you wanted to bet that the evening game would see a repeat number from the previous game? Well, that cuts down your bet even further. This system helps you to throw the least amount of money at a bet allowing you to play more often and by using your own educated judgement of your States pattern. let's look at it anyway, because it was a double draw for the midday, and double draws help to keep betting costs down for the Evening bet, since I only have two numbers to worry about coming in that will make it a SHARED DAY. These workouts are fun to do, but to cover all the possibilities doesn't justify the win, but you can still work them up and see what it will cost you to cover something you think could happen by including which are Low, Medium and High sums, and deciding on which of them is due. 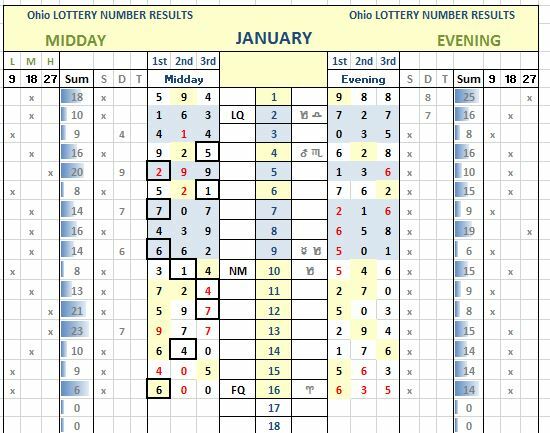 In this workout worksheet to the right you'll see that I use the midday draw 6 and 0 to be my key numbers, that I will match up with all the numbers, except with themselves, because we betting SHARE REPEAT SINGLE, not a SHARE REPEAT DOUBLE. Remember each of the 2 scenarios have 4 sub options, and its your job to make the judgement call base on trend. It would cost $12.00 to bet that the 0 would SHARE and $8.00 to cover the 6 would SHARE. That's $20 bucks to try to win $41.50. Not a good bet. So you pick one, such as the 6 with the 3 line and spend $4.00. As you do workouts for the different scenarios, you'll start to get a sense of which ones you like to play based on your States trend. ﻿﻿Do I pick the wrong workout to lay my bet on? Yes, of course I do, but the workout may of only cost me a few dollars. You see, I am only willing to lose $10 in the draw games so I needed a system to play to keep me within my limits. So I play when I like the trend, and when I have the Stars on my side. When I do pick the right workout, my return to cover an array of high sum numbers gets me the $41.50 for a $7.50 bet. When I think doubles are due, my small bet covering an array of doubles numbers gets me $83.50. Both are nice small bets for a nice little return. You can do the same. All you need to do is to track your States numbers, evaluate the trends, and take the time to do the workouts and make a judgement call. That's it. Is a high sum due? Do you think the 2 will repeat from yesterday? Will you see a number from the midday game show up in the Evening? It's your judgement call based on what you see trending. Again, this strategy is just a 'matter of deduction' against a particular group of possible scenarios. 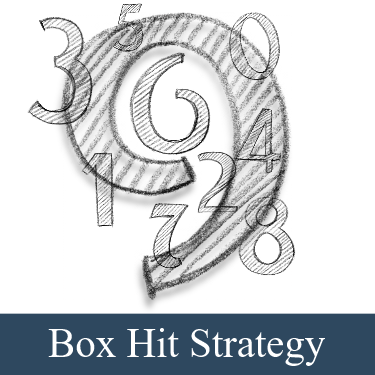 And this strategy is a Box Hit strategy, it's not gonna make you rich, but it will make playing a lot more fun and what the heck, I made it easy for you to keep track of your own States' game and I even given you the worksheets to help you with each particular scenario you think is ready to happen. This work and giving it away for free is dedicated to my Mom. She's gone 15 years now, but somehow her presence in my life just keeps getting louder and louder. If she were still here today, she would of went 'NUTS' over this strategy. I can just see her now. She would be sitting at the kitchen table in her house coat on, penciling in her numbers on one of these worksheets, "...because she had a feelin'..." and she'd be scratching up a few bucks out of her pocket to send me to the store to play her choices. My Mom gave me my love of numbers, and its been fun sharing it with you. ​Have fun with it, share it with others, and I leave you hoping the strategy puts a little play money in your pocket. 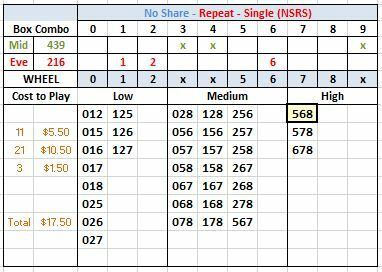 If you have Microsoft Excel and would like to use your computer to record your State's draw game numbers as I do in the videos above, you can purchase a blank template for only $9.99. I programmed the Excel Workbook so that once the draw numbers are entered the averages for each month are calculated and the frequency of position for the numbers is also calculated. ​It took me a good 3 years to get it to this point and its makes analyzing your States' game a bit more in depth. But you don't need it to take of advantage of this strategy. Its for computer nerds like me and its important you understand that it is not a program, its an Excel sheet pimped for progress when you input the correct information. For MS Excel Users only! ​you'll be routed to a page to Download your workbook.